April 30- 2nd grade preforms the Three Piggy Opera @ 2:00 p.m. Please note that on STAAR testing days our campus is closed to all visitors, this includes at your students lunch time. We will serve breakfast to all students taking the STAAR test on testing days. Testing will begin shortly after the 8:10 bell, so please make sure students arrive to school on time on testing days. Field day is just around the corner. Our field day will be on Friday May 10th. Nally at 817-547-2000 ext. 2050 or email at payton.nally@birdvilleschools.net. Field day shirts are now avaliable for puchase through April 26th. The shirts are $10.00 each avaliable in sizes youth extra small-adult XXL. Please send cash or check (made out to Richland Elem.) along with order form. Check your students folder for order form. The shirts are red with the graphics pictured below. Any questions contact Mrs. Fry at deedra.fry@birdvilleschools.net. If you would like to purchase a yearbook through the school, and not online, please return the order form, and payment, NO LATER THAN APRIL 25TH. Please keep in mind that on any orders made through the school you will not be able to pay with a card, and they are not going to include any custom pages. Please note that the doors to our school building do not open until 7:30. There are not staff members available to keep an eye on any students dropped off before 7:30. We ask that if you need to drop off your student prior to 7:30, please consider signing them up for morning ASPIRE. Moring ASPIRE begins at 7:00. Please contact Mrs. Rodgers at 817-547-2000 ext. 2086 for more information on ASPIRE. Thank you kindly, RES staff and faculty. Give that special someone a shout out! Click on the link below to send a special thank you to that person that deserves it. Fourth graders from Birdville ISD’s Richland Elementary traveled to Waco and Austin on an Education in Action Discover Texas Field Trip to experience what they are learning in fourth grade Texas History. Students visited the Texas Ranger Hall of Fame and Museum, the Texas State Capitol, and the Bullock Texas State History Museum. During the charter bus ride to their first destination, the students discussed why Texans are so proud of their unique heritage and participated in activities and games in preparation for their day. At their first stop, the Texas Ranger Hall of Fame and Museum in Waco, students learned the history of the Texas Rangers and explored exhibits about Texas’s earliest inhabitants and its many unique geographical regions. They then traveled to Austin to see the Texas State Capitol where their legislators, The Honorable Kelly Hancock, State Senator, District 9 and The Honorable Stephanie Klick, State Representative, District 91, office. Students saw first-hand where Texas laws are made as they toured the State Capitol including the Senate and House of Representatives chambers. At the Bullock Texas State History Museum students traveled in time through the Texas Revolution and learned about the events that created our Lone Star identity. The students’ visit to the museum concluded at the multi-sensory Texas Spirit Theater with the Star of Destiny where they saw and experienced the history of our great state including a gusher exploding from an East Texas oil derrick and the takeoff of Saturn V as seen from Mission Control at the Lyndon B. Johnson Space Center in Houston. Discover Texas Field Trips are presented by Education in Action, a 501(c)3 non-profit organization dedicated to fostering educated and involved young people. In addition to one-day Discover Texas Field Trips to Austin, San Antonio, Waco/Georgetown, Dallas, and Fort Worth, Education in Action also offers summer Lone Star Leadership Academy camps for outstanding 4th-8th graders. During the weeklong, overnight camps, participants experience significant Texas sites in Dallas/Fort Worth, Austin/San Antonio, or Houston/Galveston with Texas educators and a focus on leadership. For more information about Education in Action visit www.educationinaction.org. in today's ever changing society. 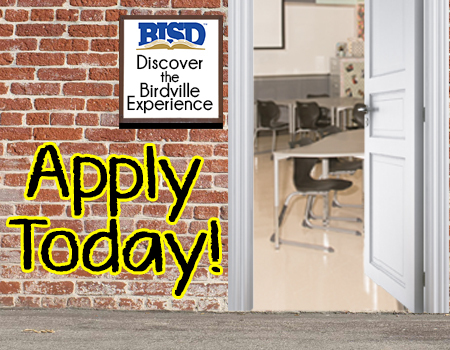 Please check out the following link for more information on BISD's exciting new program. RES families, your opinion matters! Please take a few minutes to fill out the survey below so that we can see what family activities you would like to see in the future at RES. Thanks in advance for taking time to complete the survey. Turn in your Box Tops for education to your teacher. Make sure you put your name on them to earn credit. Please consider joining Richland's PTA. Membership cost is $7.00 per member. Anyone, including students, can join our PTA. Please watch the video below to learn more about the PTA.